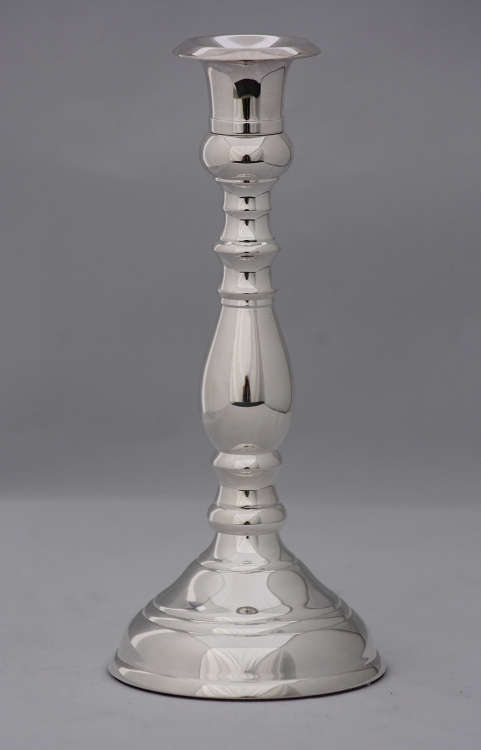 This lovely heirloom quality candlestick in heavy Silver Plate over solid brass measures 8" high X 3-3/8" base. The silver is treated with an anti-tarnish finish to keep it shining, the base is felted to protect fine finishes. Weight: 1 pound, 11 ounces. The Patrician candlestick is shown with our #BS1010 Hammered Vase which may be ordered by going to our Tabletop page or by clicking here on Tabletop Items. 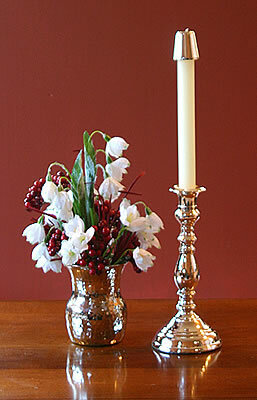 Pictured here in our Silver finish, the Patrician candlestick is also available in polished brass. Comes triple wrapped and elegantly gift boxed.